The Sperry Topsider was a solution to a simple yet crucial problem: how to maintain traction on a slippery surface? It was discovered in 1935 when an avid sailor named Paul Sperry sought after an answer to his dilemma. After noticing how his dog was able to resist slipping, he patterned his non-slip boat shoe from his dog’s paws which had hundreds of small cracks and lines. His meek invention conceived out of necessity soon became a completely different type of shoe that has now become a standard of comfort and long lasting performance footwear. With more than 80 years in existence, the Sperry continues to prove that fashion and function should be pursued without compromise. 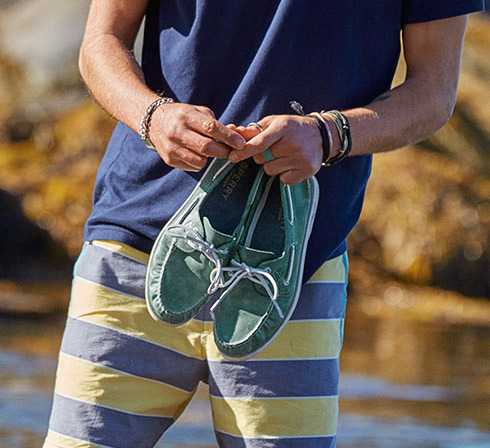 The Sperry boat shoes mimic both style and function. After serving its unique purpose of being the first stylish shoe to ever be non-slip and superb in traction, the boat shoes continue to be the best iconic footwear in its collection. Over the years, Sperry has moved on to produce more high quality footwear that stays true to its nautical beginnings. Offering styles for men, women, and kids, the brand now includes boots, flats, sandals, loafers, sneakers, oxfords, and slippers. With this vast collection of hand-crafted footwear, they are also available in an inspired range of colors, styles, materials and sizes that will have everyone accounted for in terms of foot wear needs. If you’re looking to add something nautical-ready, adventurous and timeless into your wardrobe, Sperry is an authentic lifestyle brand that doesn’t disappoint. Shop at ZALORA to get your own pair of quality foot wear from Sperry. Enjoy going through a variety of styles that go well with your wardrobe. At ZALORA, your satisfaction is a priority as we make sure you are well provided for in terms of fashionable needs and latest trends in the industry. 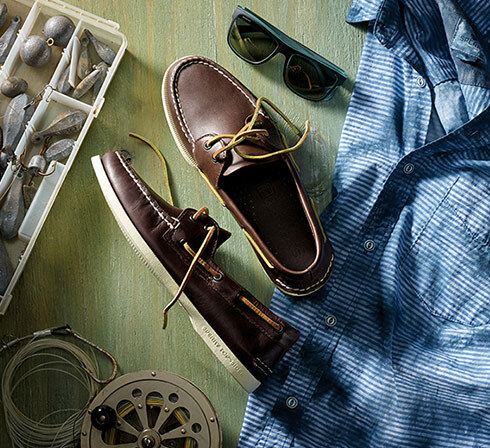 With a number of foot wear brands to choose from like Sperry, you’re sure to find the right fit. Also enjoy shopping advantages such as cash on delivery, free shipping over P995 and 30 days free returns.